Ross Lynch and John Deluca “fight” over Maia Mitchell in this funny behind-the-scenes pic. Maia & John guest starred on “Jessie” earlier this year in the episode “Jessie’s Big Break.” The show shoots right next to the “Austin & Ally” set and during a break from filming the episode “Tunes & Trials,” Ross decided to visit his “Teen Beach Movie” co-stars. We love how much fun it looks like they were having hanging out. 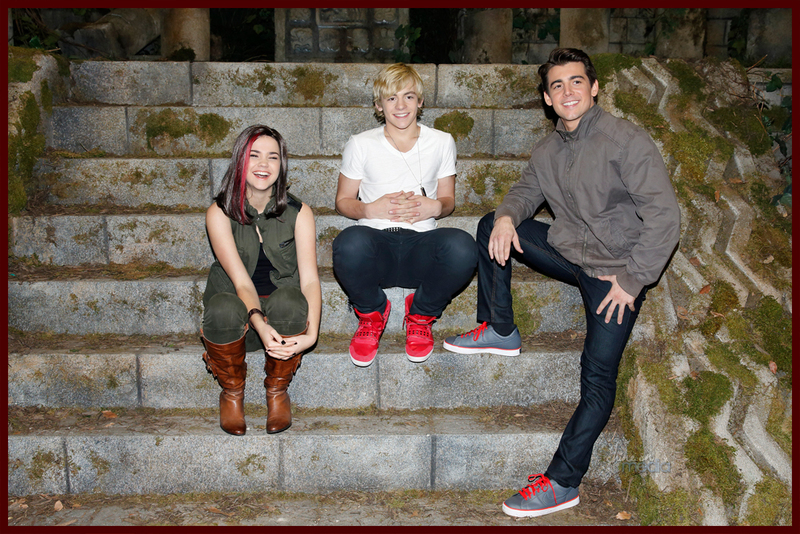 You can catch all three in “Teen Beach Movie” when it premieres on Disney Channel on July 19. Ross & Maia are currently in Europe to promote the movie where R5 is also performing some shows. The two will also be in Australia soon for the Disney Channel Fan Fest and Maia will also be in Singapore on July 28. We have a feeling this movie is going to be a global hit.